I've had a bed frame stored in a closet for years and have lost the fasteners with which to assemble it. It's an Ikea Heimdal frame; this item is discontinued and they no longer carry the fasteners needed to put the frame together. 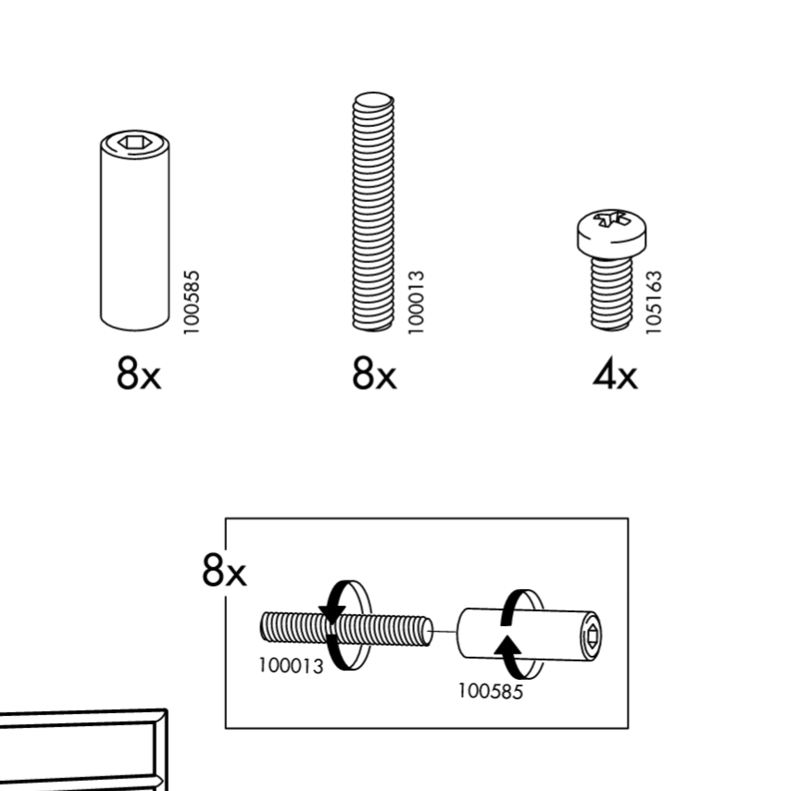 The fasteners can be seen in the assembly instructions here, parts #100585 and #100013. One part is basically just a shank, the other an elongated head. They are unlike anything I've seen at the hardware store, so I would like to know what these pieces are called and where I can find replacements. I hope they are not unique to Ikea. For 100013, use "threaded rod", commonly known as "all thread" and cut with a grinder or Dremel tool to size. Any hardware store will have it, but you'll probably need metric. For 100585, I'd try "female threaded round standoffs", you can get them partially threaded or use threadlocker to keep it on. What do you call the fastener that's like a metal zip tie with a screw?